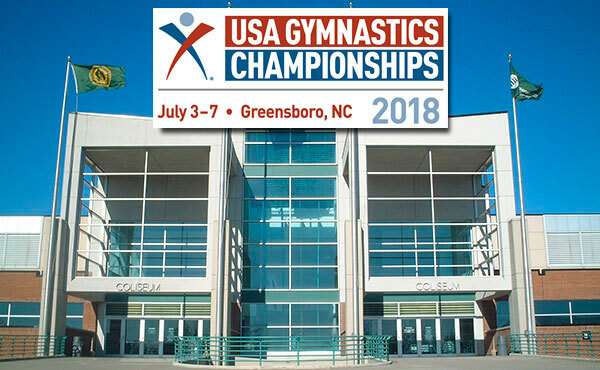 The 2018 USA Gymnastics Championships, which features more than 1,800 of the nation’s best gymnasts in acrobatic gymnastics, rhythmic gymnastics, and trampoline and tumbling, returns to Greensboro, N.C., which played host to the event in 2015. With national title on the line, Olympian Laura Zeng shows the toughness of a champion. 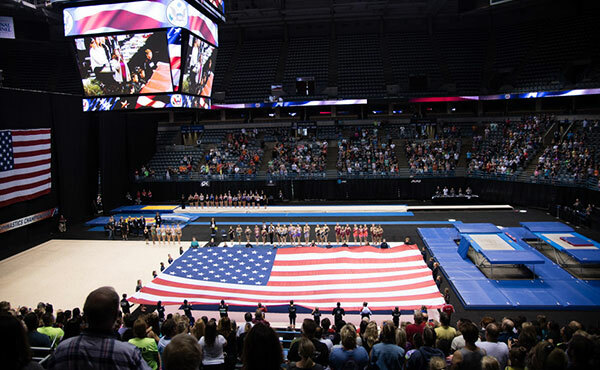 On the final night of the 2017 USA Gymnastics Championships elite competition at the BMO Harris Bradley Center in Milwaukee, 11 senior U.S. titles were awarded. 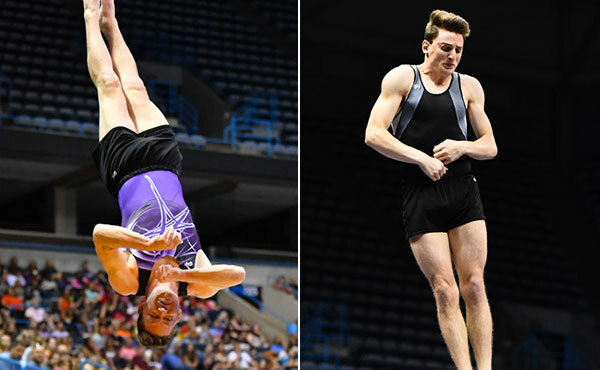 Alex Renkert and Austin Nacey lead the tumbling and double mini standings heading into Saturday’s finals, each hoping to secure a berth at the 2017 World Games. 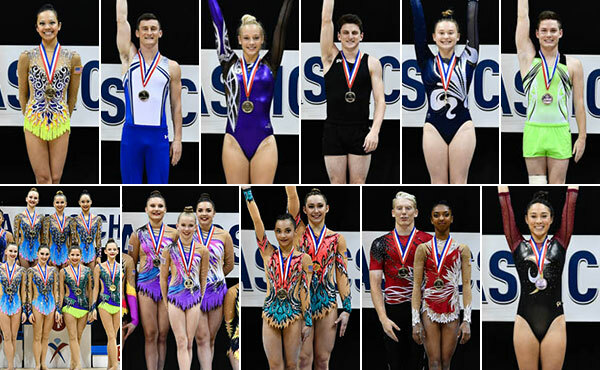 Athletes in rhythmic, acro and trampoline and tumbling inched closer to national titles today at the USA Gymnastics Championships. 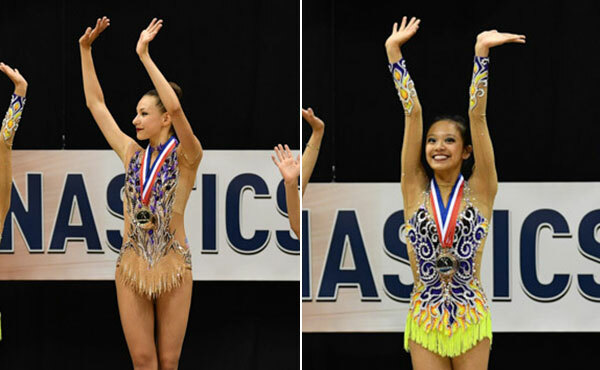 Evita Griskenas and 2016 Olympian Laura Zeng won the U.S. ribbon and clubs titles, respectively, tonight at the USA Gymnastics Championships at Milwaukee’s BMO Harris Bradley Center. Elite competition also included acrobatic balance & dynamic routines and trampoline, tumbling and double-mini prelims. 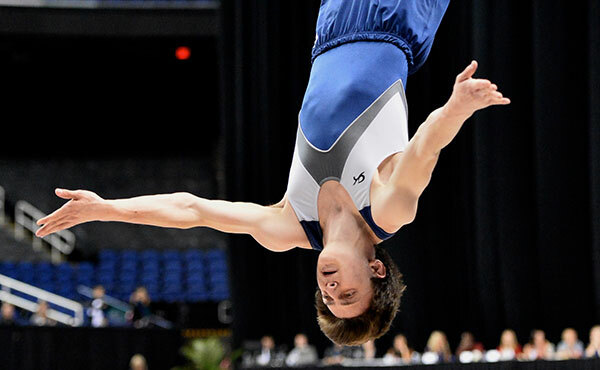 A lot was at stake for Austin Nacey heading into the first senior elite session tonight at the 2017 USA Gymnastics Championships. Nacey, who specializes in tumbling and double-mini, has been working towards securing a spot in the World Games for the last 15 years – and sees Nationals as his last hope for achieving his goal. Camilla Feeley and Evita Griskenas won the ball and hoop titles, respectively, at the 2017 USA Gymnastics Championships at Milwaukee’s BMO Harris Bradley Center, where elite competition continues tomorrow. 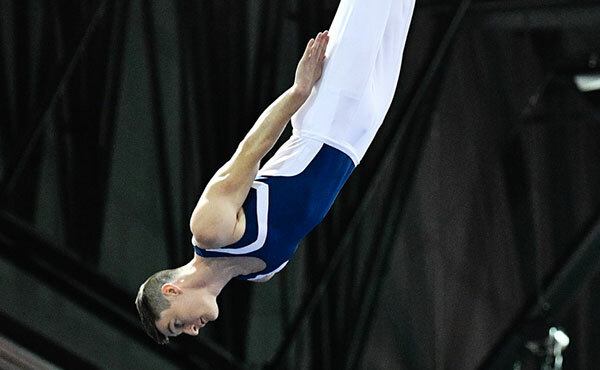 After a fall in his compulsory routine a year ago knocked him out of Olympic contention, Jeffrey Gluckstein returns to the USA Gymnastics Championships this weekend determined and looking for this fourth U.S. title.